Found this on the internet, don’t know who took it, but we dig it. We lost a hero with David Bowie. I must admit that I grew up in the eighties and very clearly remember the ‘Let’s Dance’ days of David Bowie. My fondest memories are when my big brother introduced me to the Space Man. 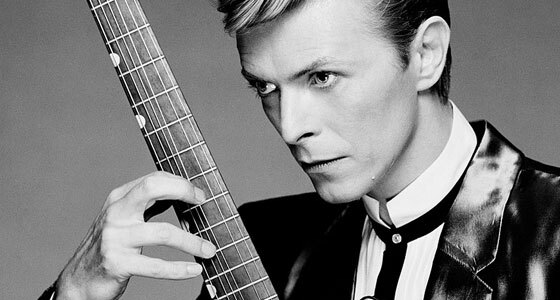 So much of my brother I saw in David Bowie: Suave, smart, brightened. That is how we look up to our heroes, like our big brothers. David Bowie represents a magical time for me and for many. And so, on January 10th the news of his passing… was a shock. I think many of us expected him to live forever. In the past week, we’ve seen a number of homages. A notable Canadian one coming from Scratch Bastid. These warm acknowledgement of this legend will surely continue for months to come as people grapple with his departure. It’s only appropriate and wonderful to see the outpouring of respect for such a talent. Likewise – big props to Air Guitar World Champ, Justin ‘Nordic Thunder’ Howard for making this video rocking out to the best of Bowie’s rock tracks – Ziggy Stardust. I expect many of us have done the same in the past week. Way to rep, Thunder. Time to celebrate his life. Thanks David. We love you. You will be missed. You will always be wish us.